Public Art expresses the deeds, accomplishments, sorrows, identity, and values of leaders, cities, nations and empires. Displays of Public art in the Balkans were introduced by the Romans and their Byzantine, Medieval, Ottoman heirs continued to embellish cities and countryside alike with the "art of empires". In the 19th and 20th centuries, Public Art reflects nation-building, political alliances and ideology, while art installed after 1989 ranges from explicitly anti-Socialist sentiment to experiments in an uncertain world. Public art in the Balkans does not go unnoticed and is frequently the subject of controversy. Papers presented in the ARCS/IBS conference will address many aspects of this broad subject: Original context and meaning – agents, historical background, setting, style and iconography; Regional comparison (from city to city, province to province, country to country); Links between exemplars of Public Art from different periods; Role and re-interpretation of Public Art in later periods. 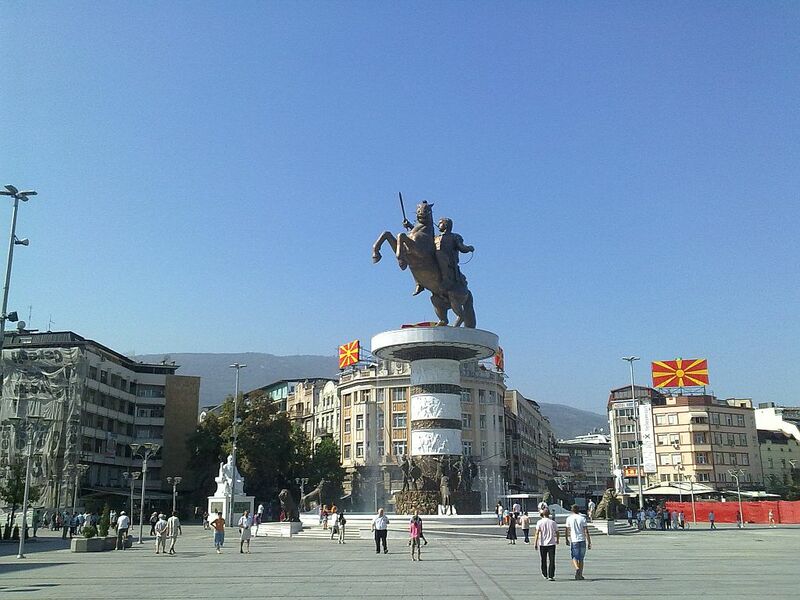 Zoran Poposki presents his research in a paper entitled "Spectacular power and identity: contemporary public art in Macedonia", co-authored with the archaeologist Vasilka Dimitrovska.